Thomas Vermaelen has taken his first major step in returning from an Achilles injury which has kept him sidelined for five months. The Belgium international has been running without pain for the first time this week - just over two weeks since his procedure to remove a tendon. It has led Arsene Wenger to optimistic about Vermaelen's chances of returning within his four to six week time period, following surgery in Sweden on January 18. 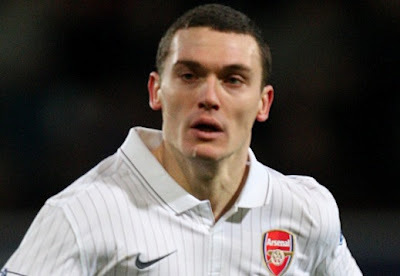 "Thomas Vermaelen is making very good progress so he should be [back in] three to four more weeks." The Arsenal medical staff are confident this time everything is going to plan with Vermaelen, even though he has suffered set backs in the past. The early date pencilled in for the central defender's return is March 5 against Sunderland at the Grove.